Welcome to Bachman Volkswagen! Although you might be searching for a Volkswagen dealership in Bowling Green, KY, we are just a short drive away in Louisville. Whether you are considering a new Volkswagen, a Certified Pre-Owned VW, or other used cars, we want to be the preferred VW dealer for the Bowling Green region. Why Try Our Volkswagen Dealership near Bowling Green, KY? When you are searching for the perfect vehicle, you really do need to comparison shop. Of all the Bowling Green area car dealers, we think we’re the best. The value of locating a trustworthy dealership a few minutes away is much greater than the money lost getting trapped in an automobile or finance deal you aren’t content with. Everybody knows gasoline prices are high, yet locating a good dealer is definitely well worth it – you’ll be glad that you used your time shopping around. 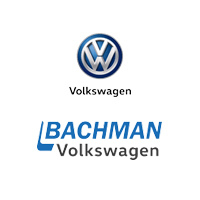 Have faith in the great people at Bachman Volkswagen to offer you great customer service at a reasonable price. With the kinds of deals we provide, we may as well be your local Bowling Green, KY Volkswagen dealer! We are in the business of earning life-long customers. We understand there could be closer dealerships in Bowling Green, KY, though we sincerely would like to earn your business so that whenever you might need a Bowling Green, KY Volkswagen dealership, we’re your very first pick! We may just sell cars, yes, but we’re in business to make people happy. No matter your need – should it be a used or new car, top dollar on a trade-in, speedy service like an engine oil change, or an outstanding financing deal – we want to make it work for you. Bachman Volkswagen is conveniently located at 9652 Bluegrass Parkway in Louisville, KY. Our friendly team of sales professionals is available in our showroom to guide you through the entire process during our regular hours Monday through Friday from 9:00 am until 8:00 pm, and Saturday from 9:00 am until 6:00 pm. To schedule a test drive of your favorite VW, contact us or give us a call at (866) 578-1101.